Alexandria city council approves waterfront plan. After much debate and despite much protest, the Alexandria City Council voted to approve a revised plan for the development of the city's waterfront Saturday night. After rejecting an attempt by opponents of the plan to force a supermajority vote, the council approved the plan by a vote of 5-2. If the supermajority attempt had succeeded, the plan would have needed six votes to pass, rather than a simple majority of four. 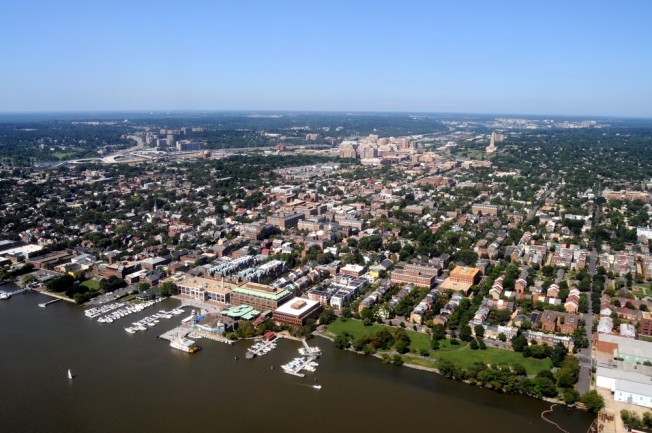 "The outcome of the waterfront vote represents a fundamental failure of leadership by officials elected to represent all of Alexandria," Andrew Macdonald, co-chair of Citizens for an Alternative Alexandria Waterfront Plan said in a statement released Sunday. "Yesterday’s public hearing showed once again that the City’s plan does not have broad community support. Yesterday’s vote also showed that Democrats on City Council were never really interested in listening to citizens who disagreed with the City’s waterfront plan." The vote came after an eight-hour hearing, seven hours of which were devoted to hearing from 118 local people who came by to express their thoughts in a public comment period. The revised plan puts limits on future development and creates a citizen group to review proposed plans. It also reduces the number of possible new hotels that can be built on the waterfront from three to two. The council also included language that protects resident parking; ensures contributions to arts, culture and the city’s historic character; and calls for planning to begin on a power plant site. Critics worry new, taller, modern buildings will disrupt the city's character and create traffic and parking issues. Supporters believe new parks, hotels and shops will bring more businesses and tax revenue to Alexandria. Opponents of the plan have said that they will take their case to the local board of zoning appeals, and, if necessary, to Circuit Court.